The most successful English portrait painter of the 18th century, Reynolds was a founder and the first President of the Royal Academy of Art in London. This website has a wide variety of information about Reynolds, and includes a fully referenced catalogue raisonné of about 2,600 prints after his original paintings, engraved between 1754 and 1900. Much detailed information is included, with many previously unrecorded states and quite a few previously unrecorded prints. Over 400 prints after his paintings were published during his lifetime with a further 2,200 after his death. Over 900 of Reynolds's portrait and subject paintings have been listed so far. 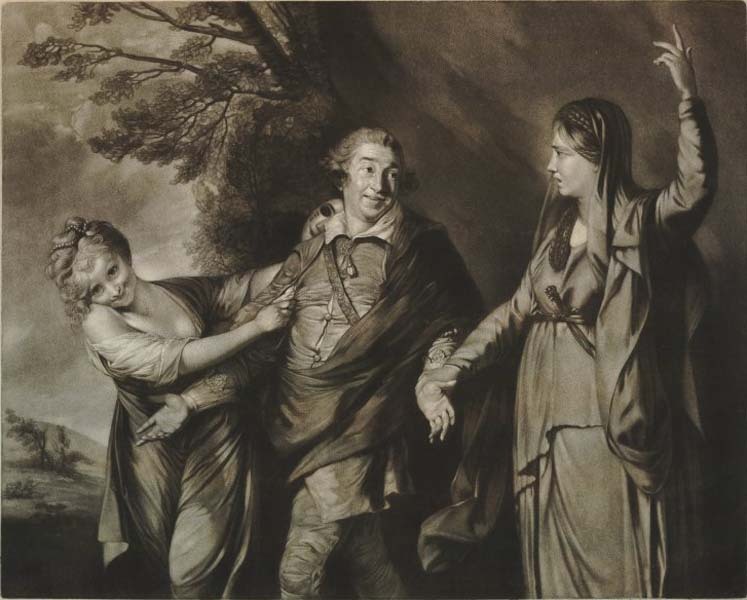 Reynolds was responsible for the very high standard of mezzotint engraving in the second half of the 18th century. From the time that they were first published, proof impressions of the finest mezzotints, particularly those after Reynolds, were widely collected, by royalty, the aristocracy and the wealthy. There was a very large export trade in English prints to Europe where many private collections were formed. By the 1920s, prices for the finest prints, such as the eleven plates in the set of Beauties of the Present Age, engraved in mezzotint by Valentine Green after Reynolds from 1779 to 1782, were generally higher than those achieved by the finest Rembrandt etchings. A single impression of the Ladies Waldegrave, engraved in mezzotint by Valentine Green after Reynolds, fetched 2,900 gns or £3,045 at auction in 1923, perhaps the equivalent of £180,000 today. This was a world record price for any print at that time. Whilst prices of Rembrandt etchings and other old master prints continued to rise, mezzotint prices collapsed after the Depression. The impression sold in 1923 was from the outstanding mezzotint collection of Fritz Reiss, having belonged to John Tetlow, a Mr.(?) Mitchell, and then the Duke of Buccleugh. It was purchased by Sir Edward Hulton Bt, passed to his son Sir Edward Hulton Kt, and then to his son Edward Hulton and is now in the collection of Rob Dixon who purchased it at auction. The data on this Reynolds web site will soon be publicly available. Please bookmark this page and check regularly to see whether the logon details (user Id. and passsword) have been posted here or email Rob Dixon and ask to be informed when the data is available. This is a website from STIPPLE (System for Tabulating and Indexing People, their Possessions, Life and Everything). The catalogue raisonné was created using STIPPLE. This advanced system allows the creation of union catalogues in which all known impressions of prints after Reynolds (or any other artist or by any engraver) can be recorded. It can catalogue a great variety of other object types. If you have a collection of prints or any other object type that you wish to catalogue, please contact Rob Dixon. These catalogues can be accessible over the internet.